In the race to streamline the shopping experience, Walmart Canada is adding more self-checkout kiosks and revamping its ‘scan and go’ system where shoppers scan their items while they shop. In the race to woo customers with a seamless shopping experience, Walmart Canada is adding more self-checkout kiosks and revamping its "scan and go" system where shoppers scan their items while they shop. It appears "scan and go," in its current form, wasn't a "go" for many customers. Physical retailers are scrambling to make shopping more convenient while also trying to keep costs down in an era where almost anything can be bought online. But it's a game of trial and error where customers won't always buy in. "It's a really challenging time for retailers," said Brynn Winegard, a Toronto-based marketing and retail expert. "They're pressed to figure out what it is consumers want as well as to drive home profitability,"
Walmart Canada made headlines last year when it announced it was rolling out "scan and go" in 20 locations. 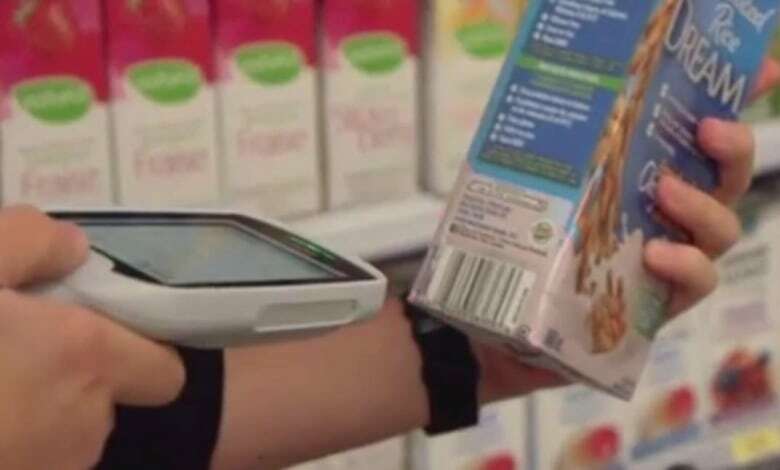 Walmart Canada wouldn't detail why the concept didn't catch on except to say that it's currently testing improvements to the technology, including a new scanner interface and added features. "We are frequently testing and trying out new things in our business," said Walmart Canada spokesperson Anika Malik in an email. "The way our customers shop is changing and we are constantly innovating to meet their needs." Malik said the same rule applies to self-checkout kiosks. She wouldn't provide numbers, but said Walmart continues to add them to stores to offer customers more choice and convenience. "I can just order it on Amazon if that's what they want," said Cody Nolan. He went to Walmart in Brockville, Ont., last week at 10 p.m. and said, much to his disappointment, no cashier lanes were open. "I'm kind of old-school. I actually like to converse with a cashier as I do my payments." "It was frustrating. The machine kept going off and telling me I needed assistance." Meanwhile, she tried to keep an eye on her two-year-old child. "It's not convenient," said Skocdopole. Walmart spokesperson Malik said the company's goal is to have a cashier option available at all times and that if none are open, customers can request one. There's no doubt retail is headed toward a more automated format which will change the types of jobs involved and, ultimately, the way we shop. "That is probably more of a stop-gap between more intellectual or more capable technology," said Tissenbaum, a professor at Ryerson University's Ted Rogers School of Management. 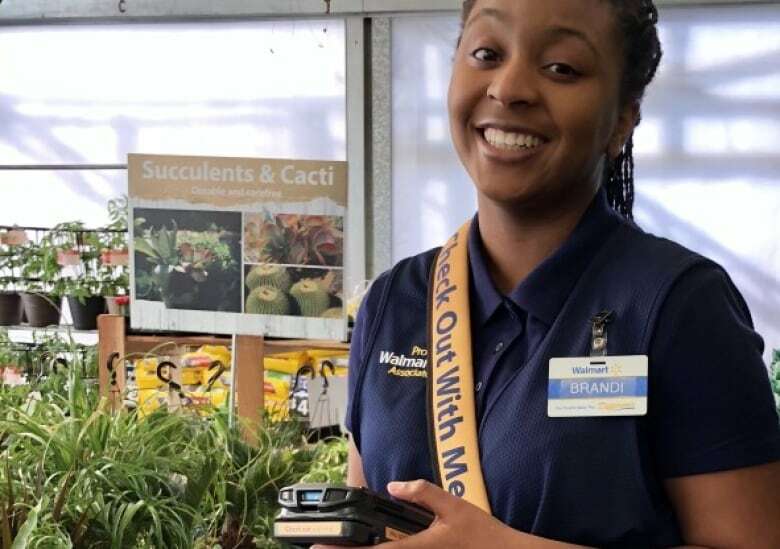 For those who still crave the human touch, Walmart and Target in the U.S. each recently launched a "scan and go" system where employees do the work. Workers equipped with mobile devices both scan and checkout customers' items in busy parts of the store. Customers can use debit or credit to pay on the spot. Meanwhile, Amazon is expanding its cashier-less concept — Amazon Go. In this store, customers don't even need to scan their items. Walmart also plans to launch a cashierless store this month at one of its Sam's Club locations in Texas. The big-box, membership-only store will use "scan and go" technology, but members will download an app to both scan and pay for items via their smartphone. Walmart said it will also have employees called "member hosts" who will offer in-store assistance. "As shopping preferences evolve, we'll give members and customers options to shop in new ways," said Walmart U.S. spokesperson, Carrie McKnight in an email. As for shoppers, they can rest assured that if they don't buy into one new shopping concept, another, different format will likely quickly follow.